It is our job. And maybe YOU aren’t even fully aware of these things about food. You probably aren’t because you are going by what your parents did, and what is just the “norm” in our culture today. 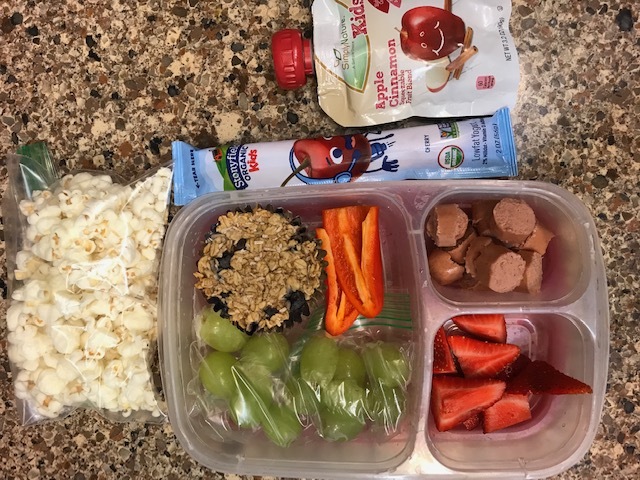 You probably assume kids will only eat “kid food” and that the only way to get them to do certain things is by bribing them with candy. I do not blame you, sweet momma. I know you are doing your best with what you know. But I want to challenge you to take more control. Become more aware of our food system in America. Read ingredient labels and learn more about those ingredients. Question why many of our ingredients have been banned in other countries because of how harmful and dangerous they are, but are still totally legal and used regularly here. Question why we are one of the richest countries with some of the best resources, and yet we are the sickest and most obese. Ask questions. Learn. Don’t sleepwalk through life. I promise you, it doesn’t have to be overwhelming. I’m here to help you work on making this transition for your family! 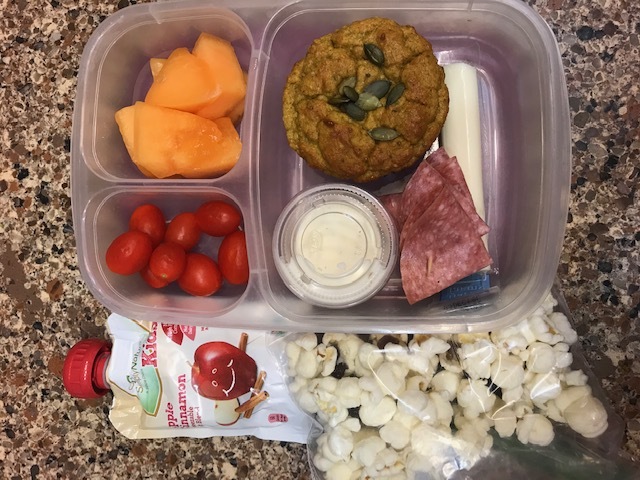 One simple way you can get your kids on a better path is to start by making yummy, wholesome school lunches! 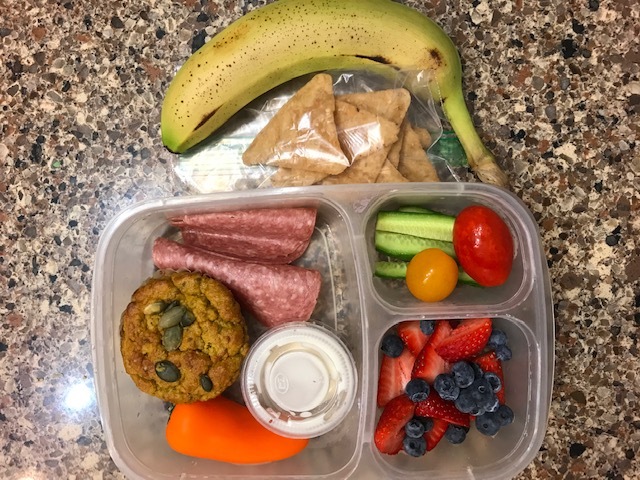 I have put together some of my best tips, and the lunches I have sent to school with my own kids to help give you some ideas. Again - this doesn’t have to be overwhelming! 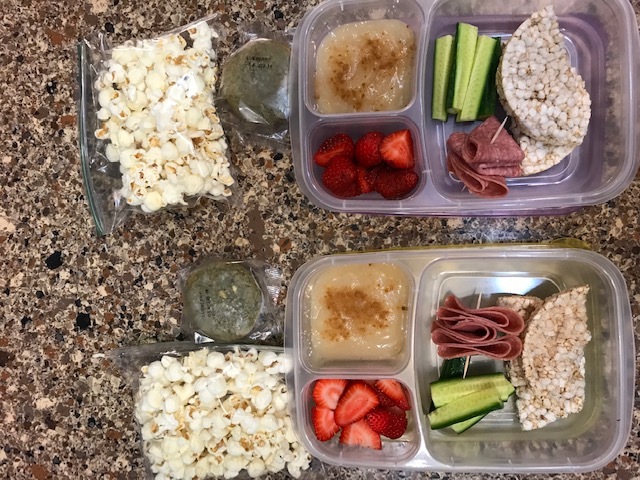 Keep things simple and basic while you get into the new routine. 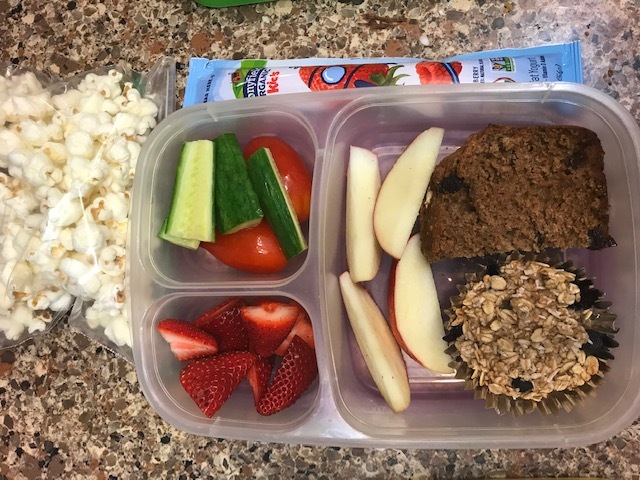 Keep encouraging your kids to try new things at home with dinner, so you can find more variety to send with them to school. 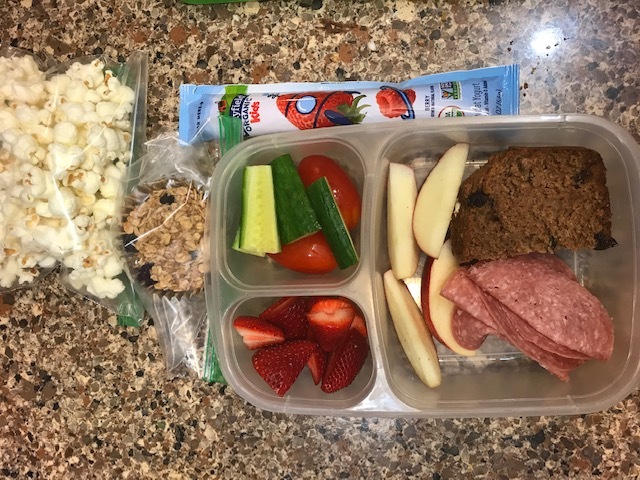 Get your kids involved in making food and preparing lunches, so they take pride in it and are excited to eat it! Avoid processed packaged foods. 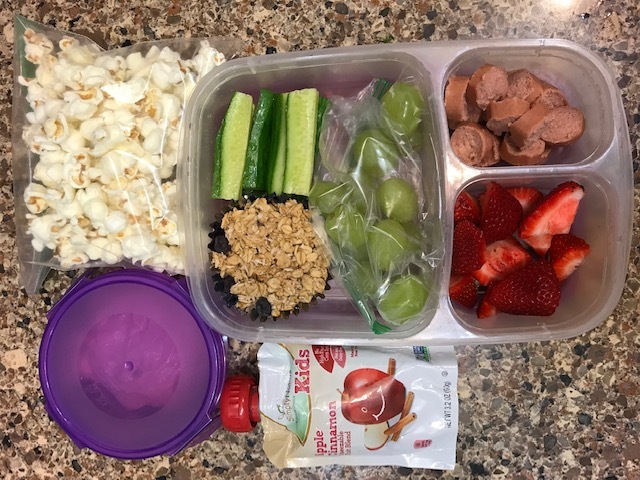 No more bags of chips, sugary granola bars, or juice boxes. 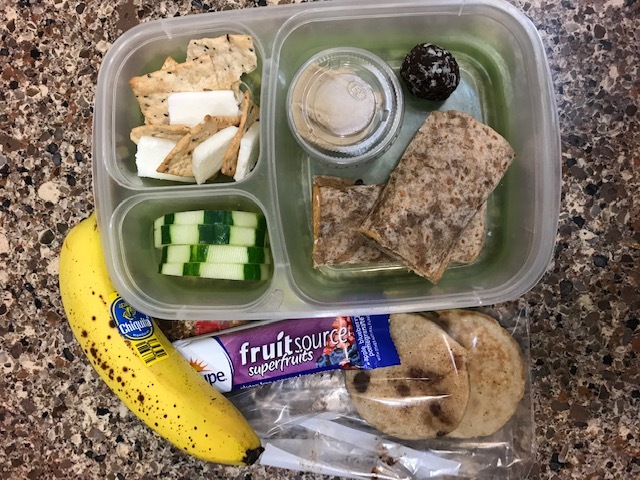 Lunchables and Uncrustable sandwiches are out too. Start reading the ingredients labels on the food you’re feeding your kids. How many ingredients are listed? Can you pronounce them? Do you know what they are? Would you potentially cook with them in your own kitchen? These are good questions to ask yourself when determining if you should buy something in a package. Ditch the white breads and white pastas in favor of whole wheat and whole grain options. When we have white flour, most of the nutrients have been stripped out. That means you are getting empty calories and empty carbs - your body can’t do much with them. They are not serving a nutritional purpose. When you switch to whole wheat and whole grain, the nutritional values are still there! Skip the refined white sugar. Reading ingredient labels you will start to realize that sugar is not just in our candies and cookies anymore. It’s in almost everything packaged. 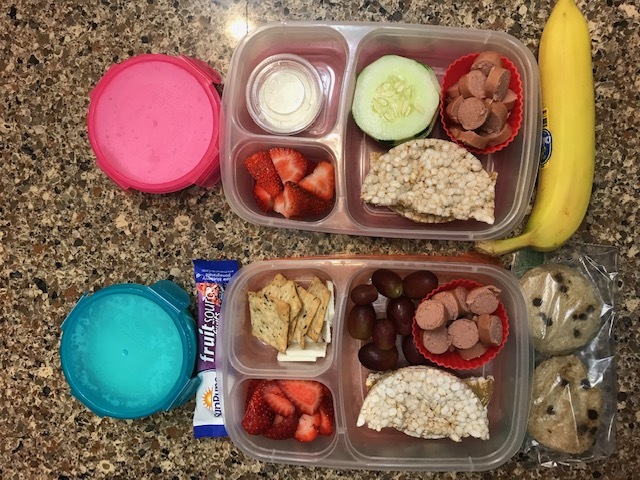 Even in your kids yogurt and applesauce - things we often see as healthy things to send. The only way to know for sure what your kids are getting is to start reading the actual ingredient labels. More water! Kids do not need milk (especially sugar-filled chocolate milk) or juice, or lemonade, or any of those drinks. What they need is water. Get a reusable water bottle and send it to school every day. The benefits to this small change are massive. More veggies! 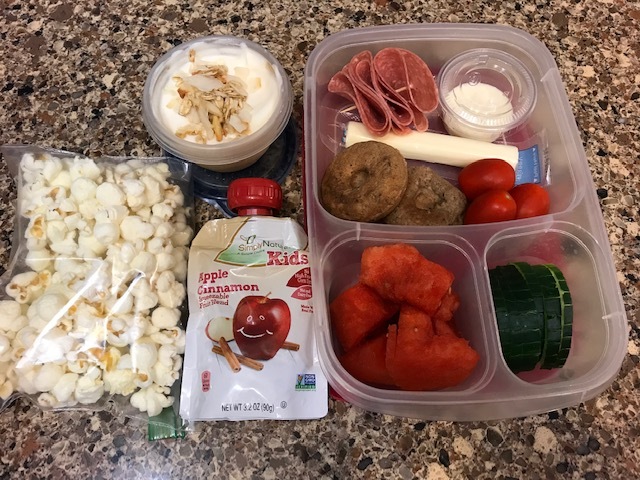 Even if you have to send ranch dressing for a while, that’s ok. Get them used to the idea that veggies are a normal part of the day and start teaching them WHY veggies are so important. Get them involved in prepping them. 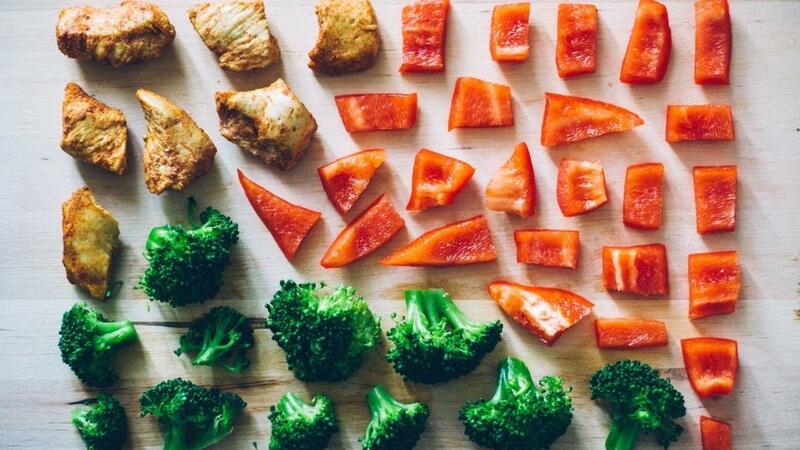 Try new veggies with dinner so they are more used it. That way when they have them with lunch, they aren’t so surprised by them. Serve whole fat dairy, not low fat or fat free. If your child tolerates cow dairy, make sure to give them whole fat. The natural healthy fats that occur in dairy have many benefits to their little growing brains and bodies. 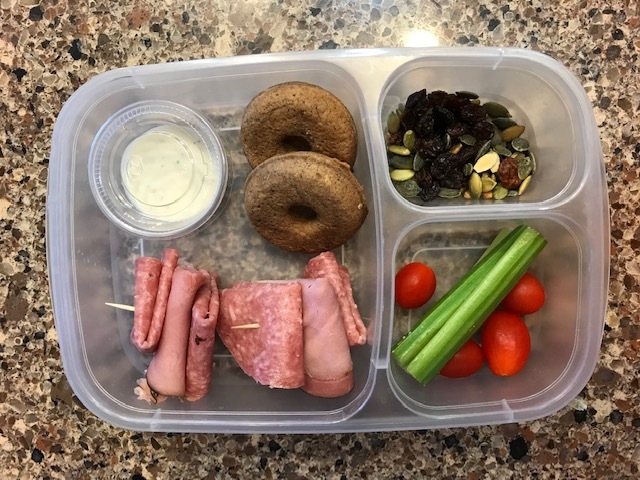 When the fat is stripped out, it’s losing many other nutrients and benefits, not to mention they usually add sugar or other flavorings into it because it doesn’t taste as good once the fat is stripped out. 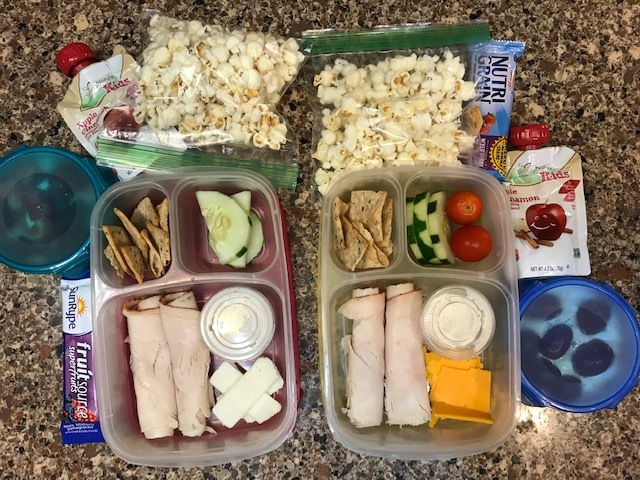 Prep things on the weekend that you want to have for lunches during the week. 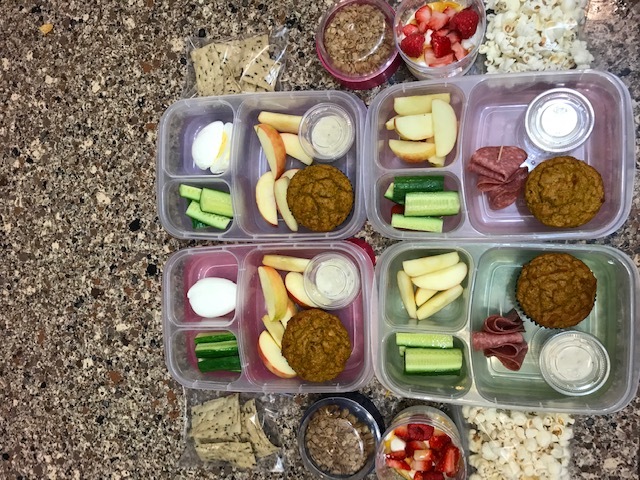 Many things will keep for the week in the fridge, but you can also freeze many things as wel. 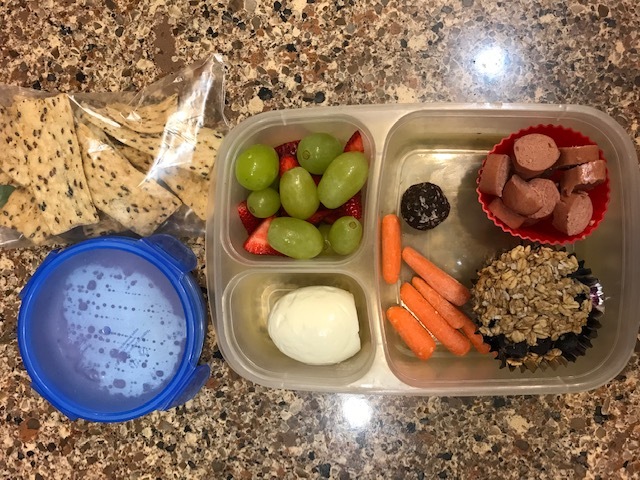 Some things I like to make are hard boiled eggs, muffins, oatmeal cups, soups, meatballs, and even pasta salads. These are things that you should be following with your nutrition too! 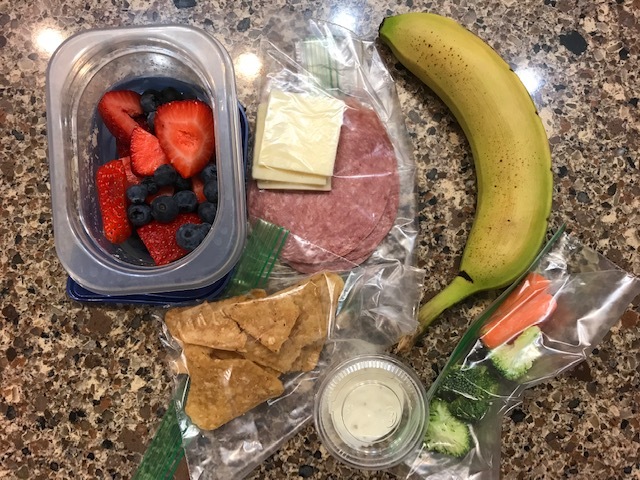 Keeping things simple can be very helpful when you are trying to make lunches for you and your kids. 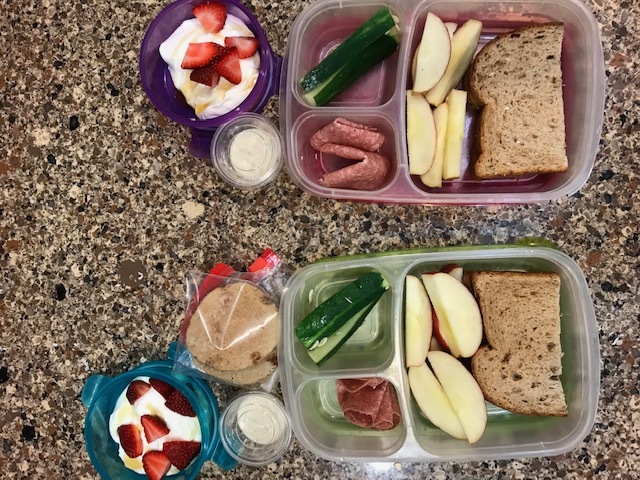 You can even pack the same things, just increase the portion sizes for you! 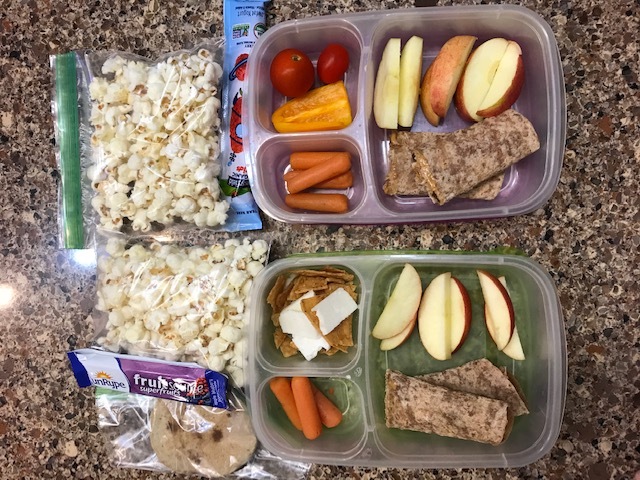 I always try to make or prep as much as I can on the weekend, and then at night after my kids are in bed (because they are still little) I will put their lunches together, get mine together, and that way we don’t have a chaotic morning. Because let’s be honest… the more chaotic and busy the morning trying to get everyone out the door, the more likely we are to make less than desirable choices - for us AND them. 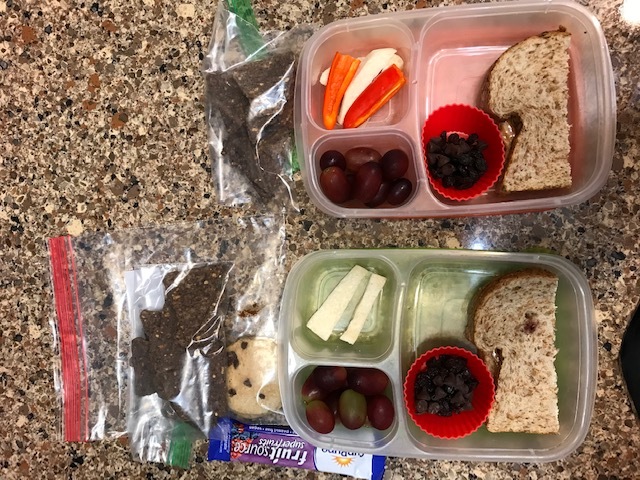 I hope these ideas from lunches I have made are helpful and give you some ideas! 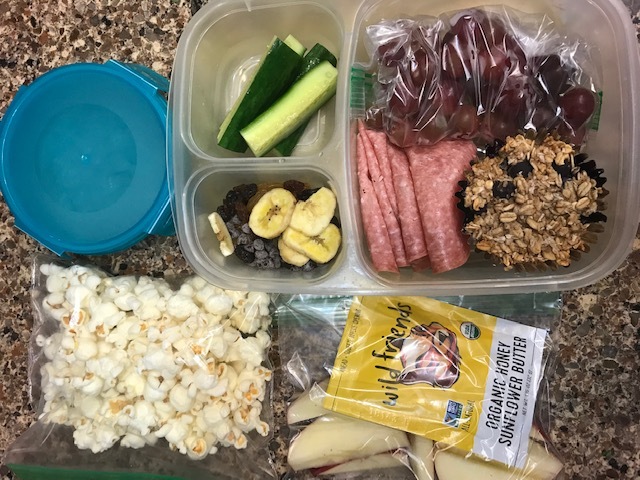 Keep things simple and basic, especially in the beginning while you get used to it! 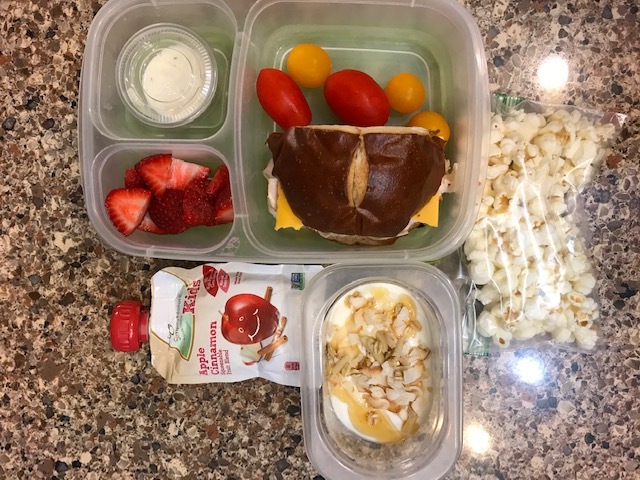 Comment below if this was helpful, and if you’d like to see more lunch ideas! 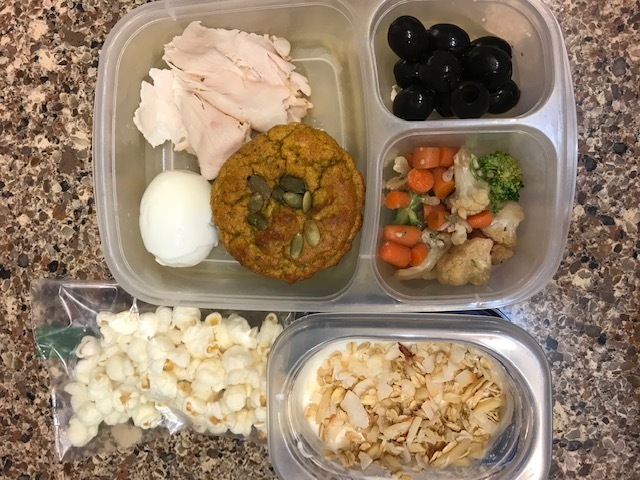 Make sure you follow me on Instagram @jessieconley where I often post food and tips in my Instastory! 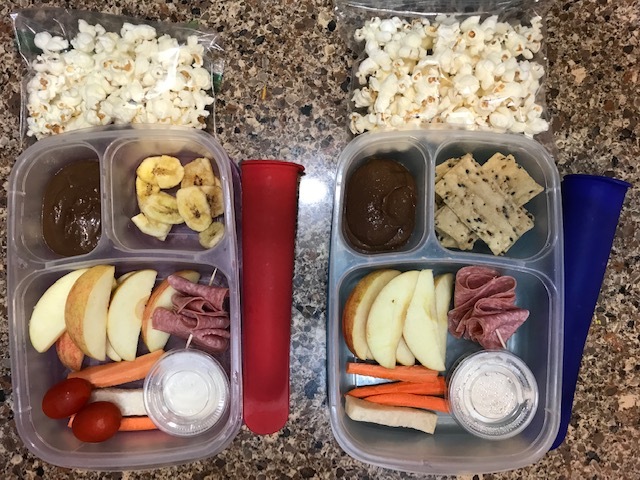 Organic popcorn, jicama and carrots and tomatoes, organic ranch, salami, apples, chocolate hummus, gluten free crackers or banana chips, and smoothie pops (with lots of spinach and fruit in them!